No one has to get hurt today. 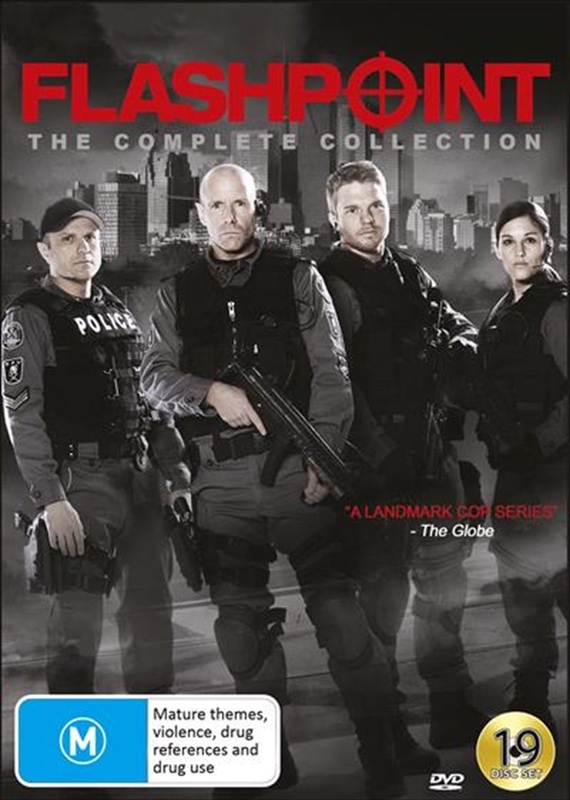 Flashpoint is a drama which depicts the emotional journey into the tough, risk-filled lives of a group of cops in the SRU (inspired by Toronto's Emergency Task Force). It's a unique unit that rescues hostages, busts gangs, defuses bombs, climbs the sides of buildings and talks down suicidal teens. Members of a highly-skilled tactical team, they're also trained in negotiating, profiling and getting inside the suspect's head to diffuse the situation to try and save lives. Includes all episodes from Seasons One through Five.